Reebok Classics has provided this sneak peak of a new retro release. Yesterday, Reebok Classics tweeted out this teaser of a new colorway of Shaqnosis. They've promised more details soon, so stay tuned for more images and release details. 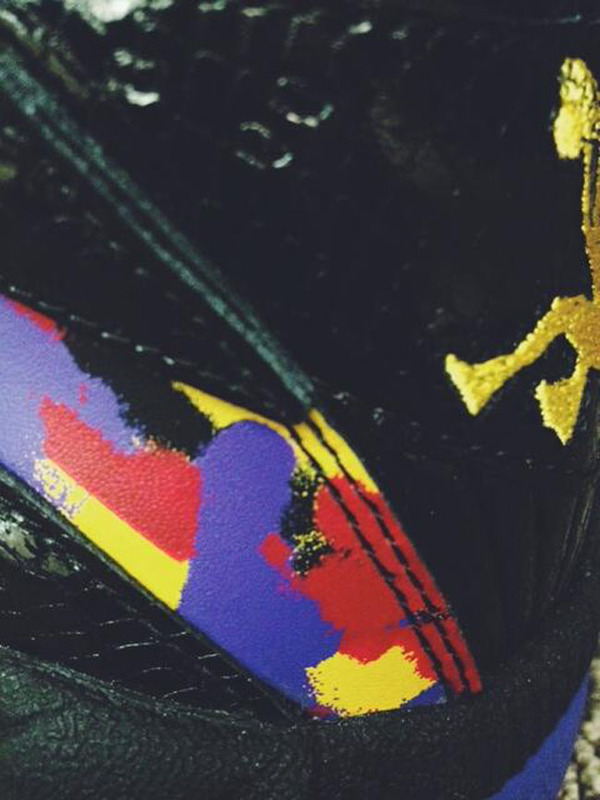 From what we can tell, the shoe appears to feature a multi-color print, as well as black snakeskin. Does this preview have you interested in this upcoming release? Is there any sneaker fan that could look at this and not immediately think of the "Playoff" Air Jordan 8? Let us know you thoughts in the comments.